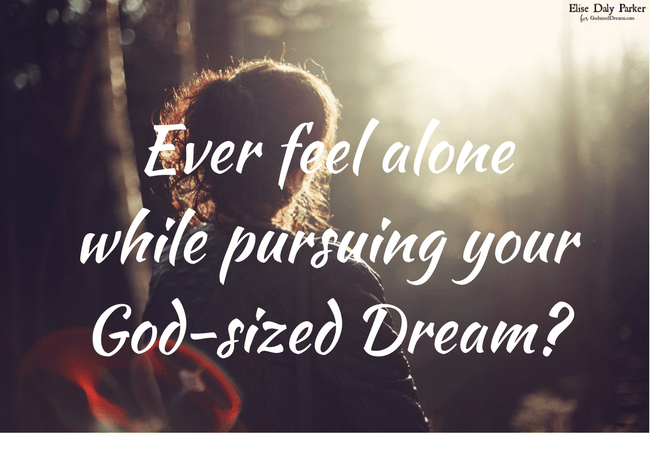 Feeling Lonely While Pursuing Your God-Sized Dreams? This was a text I sent to Kimberly Amici, one of the co-hosts on our Slices of Life podcast. I was relieved to hear that she also struggled with working alone. She had already been talking to another member of the Slices of Life team, Noelle Rhodes, about the same thing. I think there are a number of reasons why this is so, some of which you just might identify with. 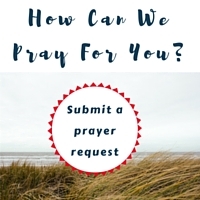 We live in a digital world – So while the Slices of Life podcast, for example, is collaborative because it’s at least three people having a conversation about real faith, real life, real community – we can do the work of taping over Skype. The upside is we can be in our own homes in sweats with no makeup on. The downside is we are not really in the company of one another. We do catch up a little, pray, tape, and chat for a few more minutes every time we tape, but there’s just no substitute for being in a room together. Some of us just don’t like being alone so often – Most of my work as a writer and editor requires me to be quiet (obviously not the case when I’m life coaching). I’m also easily distracted. So I need to be by myself. I’m likely to get the most done most efficiently alone in my own home office. No music. No talking. Just me and my computer. But after days and days of that, I’ve got to get out. I’ve got to engage with other people. I am an extrovert and being alone can drain me after a while. Isolation can lead to “stinkin’ thinkin’” – When I’m alone for too long, I can start to feel discouraged. Is this really what I’m called to? My imagination can get the best of me. Comparison can creep in. In my boredom, I can start to look for ways to fill my loneliness – like eating things that aren’t good for me but feel like comfort, or going off on a social media bender for an hour…anybody? We can feel like we’re in a vacuum – I’m an idea person, many dreamers are! We just can’t help ourselves. An entrepreneurial spirit is often part of the makeup of a God-sized dreamer. So we have ideas…All. The. Time. And by talking to others we can figure out if the idea might be worth pursuing. We process verbally. Sometimes writing can help, but sometimes we just need to share ideas with an understanding or like-minded friend out loud. Meet regularly with a friend or two – Since Kimberly and Noelle were feeling similarly, the three of us are going to meet together in one of our homes on a regular basis. We’ll be intentional about our time with an agenda that includes collaborative talk time, a lunch break, independent work with headphones on, then we’ll end our time together with a little additional sharing. Consider a Meetup – You can join a Meetup group, start your own through Meetup, or gather a like-minded group regularly on your own, much like a book group. What’s Meetup? According to their About, “Getting together with real people in real life makes powerful things happen. Side hustles become careers, ideas become movements, and chance encounters become lifelong connections. Meetup brings people together to create thriving communities.” Groups of people are getting together to share writing, cooking, decluttering, and so much more through Meetup all over the world. Try Coworking – Yes…it’s a real thing. Ideal for small businesses, entrepreneurs, and freelancers, these are flexible shared office spaces. There are at least two spaces I know of right in my own town. You can agree to meet with friends a few times a week. You can buy a Day Pass, Monthly Pass, even a Monthly Dedicated Desk that allows you to use this space with a desk reserved just for you every day if you wish. 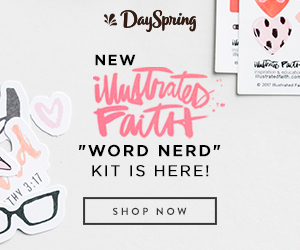 You’ll definitely want to discern the difference between when you’re called to be alone so God can meet you in the quiet…and when you’re feeling lonely and need to connect with others. When you need to step out and be with others…go ahead and find a way to do it. I’m cheering you on! Dear Elise, sometimes I feel most alone when I read about what my blogging friends are writing and doing. While I discovered I must follow the path the Lord has given me, and not someone else’s, it can be lonely in a crowd. And yet, when it comes to my writing assignment from Him, I seem to do best when it’s just the two of us. Praising God for the uniqueness of each of us! Yes, I know what you mean avwalters! When we take our eyes off what God has given us, we can find our eyes wandering over to what He’s given others. And yes it can feel lonely in a crowd. While my writing is best done alone too, I need to tend to my relationships as well or I can start to feel isolated. Ahhhhh…the balance!! Overcoming fear seems to be a theme this morning. We truly need the balance of time alone and time with others to be our most whole and productive selves. It was good to be reminded of the importance to maintain balance. A sense of balance can seem elusive…because it’s not a constant. Sometimes we need to hunker down and do things that require us to be alone. And that can be very gratifying and productive! Even just reaching out by a text and having someone respond can be enough to shake off the lonely feelings. And then there is time to be with others to get our connection tanks filled too! Not only was this an encouraging post, but I found some resources (like that podcast!) that I want to check out! Thanks, Elise! Well thank you Michele! Yes…check it out. We’ve talked about some funny things and some heavy things…just like real life!! Would love to have you listen. It’s great to know that I’m not alone in feeling alone in pursuing my God-sized dream. Thank you for this! Yes, sometimes that’s enough, right? Feeling we’re the only ones definitely can increase the loneliness. Knowing we’re not alone helps! I’ve felt alone. I like the reminder that it may be God wanting to be with me. I can build on that. Yes…love that! We can all build on that. Time alone with God can be so rich. And sometimes He has to have our undivided attention to communicate. We don’t want to miss that! Such great advice! I love that you didn’t stop with relating the feeling of loneliness, but you included practical tips we can implement! Thank you! Well thanks Rebecca! Sometimes I can choose to stay in my pity party, but there really are options. And that can be very empowering. When I reached out to my friend, she affirmed my feelings, which really helped. For me, it’s a much better alternative than feeling helpless on top of lonely!! Creatives and dreamers do feel a sense of loneliness. I experience this feeling and pack up my writing things and head to the local coffee shop. I have had some amazing conversations with people I don’t know but also I ma intentional in my writing time. I love the idea that Holley shares that feeling alone is an invitation from God to feel His presence. What a gift! Thank you for your words today. Thanks for stopping by and taking time to comment Mary! The local coffee shop is a great idea too. I have spent many hours in Panera. It’s a good mix of bustling and quiet in the off hours. And it gets me out of my home and among people, whether I’m talking to them or not. Having chronic ill health, has bought great isolation over the past 13 years into my life, so I can definitely relate to this…But also a huge opportunity to continue my writing. His presence is so comforting everyday of course but we also need each other, so when able I make the enormous physical effort to meet with friends or family. It is revitalizing for my spirit. Thanks Jennifer! I love your attitude. Yes so true. Being alone is an opportunity to do things we might not be able to do otherwise. And both being alone and gathering with others can be revitalizing. I like this perspective…“Sometimes we feel alone not because we need to be with others but because God wants to be with us…Sometimes the feeling that we are alone is actually an invitation to stop and recognize his presence with us.” I have a blog friend I meet up with, and it’s so encouraging to bounce ideas back and forth and just encourage one another in our dream. Thanks for the challenge and for hosting the linkup! Yes, Holley’s words are so good. She always sheds insight and wisdom. if we’re too busy with others, we can miss His presence. That’s awesome that you have a blog friend to share this journey with. Very helpful and inspiring! Thanks for stopping by and linking up. It is lonely. I know my dream was put there by God and pursuing it is a lonely task when other’s “just don’t get it” they have no idea what kind of work I’m putting into this dream and the fears that taunt…thanks for this encouragement today! Yes, Michelle…so get what you’re saying! Pursuing your God-sized dream can really feel lonely when people don’t understand your God-breathed passion. Keep going! You’ve got this…and God is with you every step of the way.